A vehicle’s stock catalytic converter (“cat” for short) is restrictive in terms of performance. 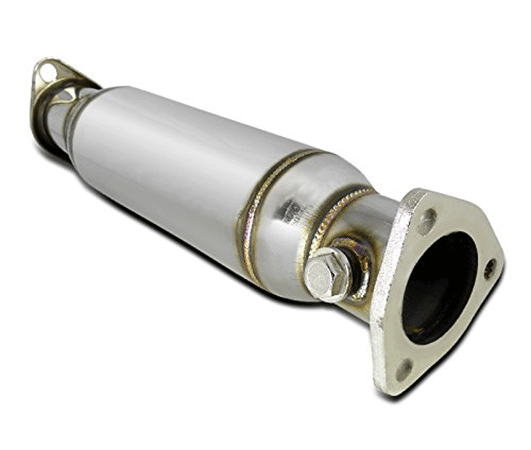 Designed to reduce the amount of toxic gasses emitted into the atmosphere, the catalytic converter tends to stifle performance. High Flow Test Pipes decrease backpressure from the exhaust and get rid of the pesky stock cat, thereby improving a vehicle’s performance. They are relatively inexpensive and are well worth the purchase, especially if you have a vehicle that’s known to run a bit rough, such as an older Honda Accord. 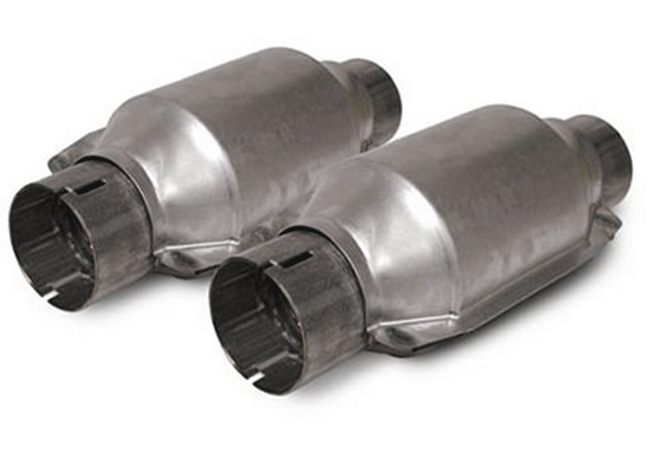 These replacement high-flow catalytic converters are designed to enhance the C6 Corvette’s exhaust system performance. They’re sold as a pair and have a limited lifetime warranty. They cannot be equipped to pollution-controlled vehicles or sold in California. The SLP M31040 converters each weigh 9 pounds and are designed for off-road use only with non-stock SLP headers. They are 12 inches long and have a 2-1/2-inch inlet/outlet. Required downpipes, PowerFlo-X Crossover Assembly, header installation kit, and SLP headers are sold separately. 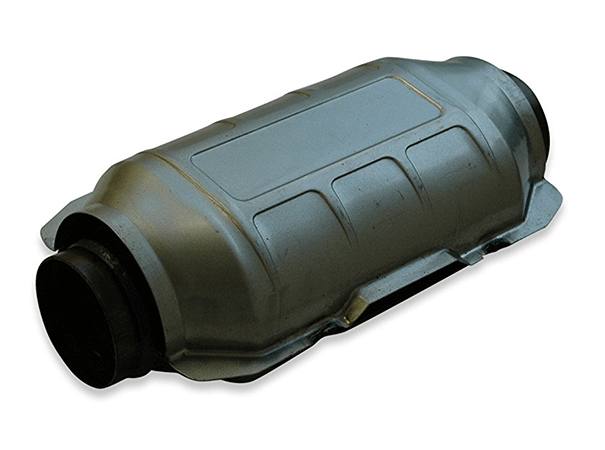 This frontally-placed catalytic converter is manufactured for 1994-2001 Acura Integra models. It comes brand-new and increases horsepower and torque by about 10. It uses the factory O2 sensor position. 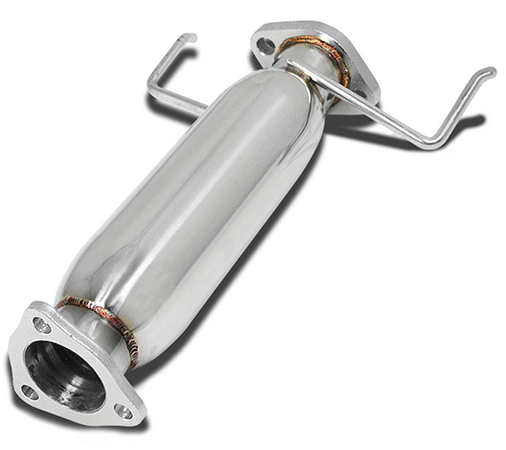 This 4.9-lb, 16.5-inch long catalytic converter has a 2.5-inch inlet/2.75-inch outlet and two O2 sensor holes. 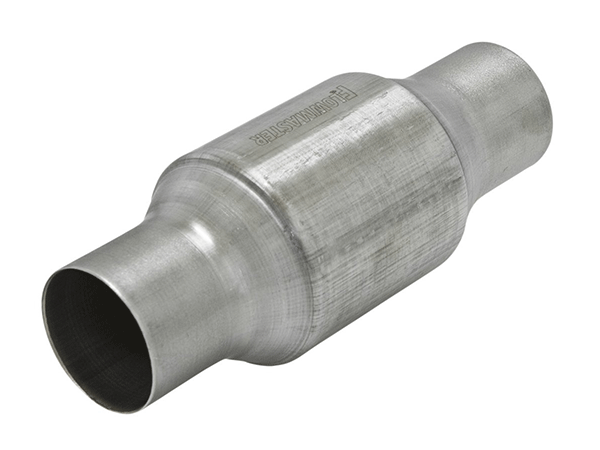 This stainless steel catalytic converter can be fit onto tight applications and is OBDII Compliant but does not comply with California’s stringent emission regulations. It has a spun design and will not emit any leakage. 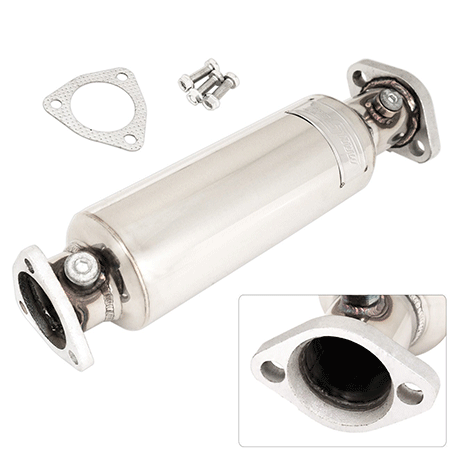 This catalytic converter has a 2.5-inch inlet/outlet diameter, an overall length of 11 inches, and is 4 inches in body length. It is a 400 CPI ceramic brick for up to 5.9-liter engines. 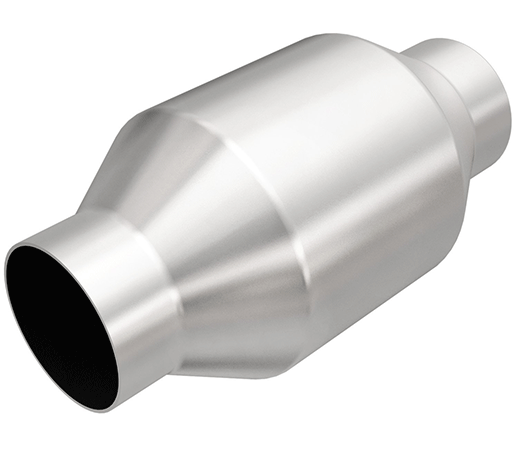 The Yonaka catalytic converter is crafted from high-quality stainless steel and has its own heat shield. This piece can be easily installed on most vehicles since it is a universal OEM style. This catalytic converter features a honeycomb structure inside its ceramic monolith core, weighs just 4 pounds, and is corrosion resistant. Its inlet/outlet diameter is 2.5 inches and has a total length of 13.75 inches. This cat test pipe includes a metal gasket and works to increase performance and high air flow. It adds an impressive 10-15 horsepower. Crafted from top-notch T304 polished stainless steel, this cat test pipe has a 2.25-inch inlet/outlet size. This stainless steel cat is compliant with federal emissions regulations. It is crafted for both diesel and gas configurations. 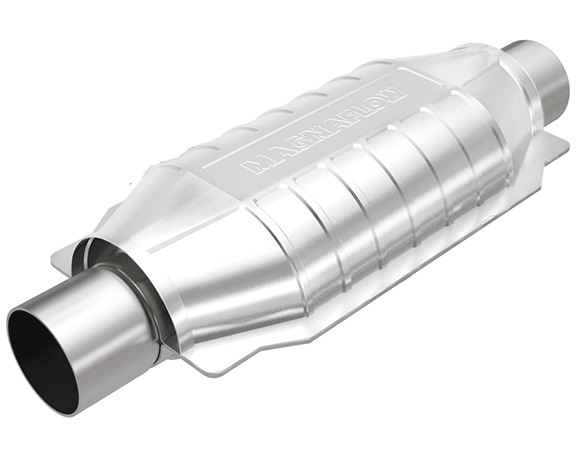 The MagnaFlow 59959 has a seam that’s welded close to the converter’s body, which gives it a tight bond. It is lightweight at 2.7 pounds and has a 3-inch inlet/outlet dimension. This three-way cat cleans up polluting gasses and is crafted from high-quality T409 stainless steel. This enhances the fuel conversion rate and reduces corrosion. This cat is an ECO II that is 11 inches in total length and has a 2.5″ inlet/outlet diameter. It is universally applicable to engines up to 5.9 liters. 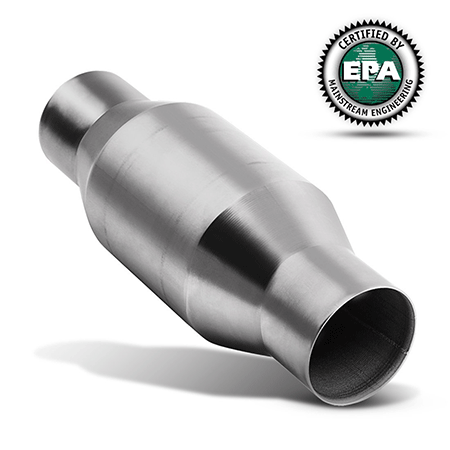 The MadnaFlow 94006 is made for gas and diesel emissions and is crafted of high-quality stainless steel. It is universal and will work with most family-size vehicles. The seam is welded close to the body for a tight fit, and it is compliant with federal emissions legislation in all states but California. The Flowmaster 2230125 223 Series will keep your “MIL” light off and generates excellent flow. It has a number of applications and is made from high-quality T409 stainless steel. This small cat is only 2.2 pounds. It has a full manufacturer’s warranty and will fit an exhaust that is sized at 2.5 inches before and after the cat. This cat test pipe is manufactured only for the 1988-2000 Honda Civic EX, DX, and LX trims, the 1993-1997 Honda Del Sol, and the 1988-1991 Honda CRX. It comes with a 90-day limited warranty. 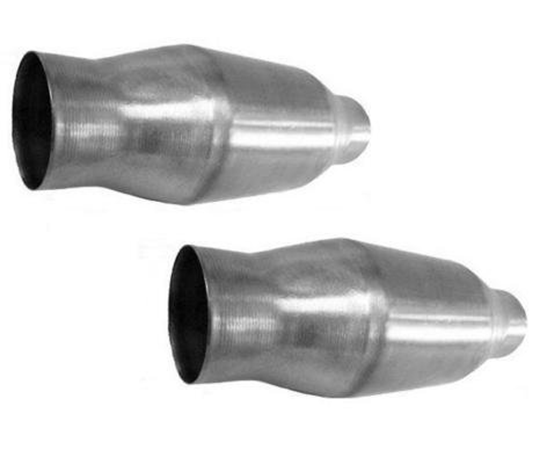 The Honda Civic cat test pipe gives instant power gain since it is an ultra high flow cat. It is crafted with T304 stainless steel and is extremely lightweight.